Most North American Freemasons have little contact with truly rabid, public Masonophobia, but our European brethren aren't so lucky. WalesOnline.co.uk is reporting about the resurrection of a Welsh investigative magazine that closed down 27 years ago, called Rebecca. The mag shut down after years of muckraking, but is now resurfacing as an internet video creation. Their first target? Welsh Freemasons. Its first video report concerns a Freemason who allegedly got away with abusing a young girl, titled “Brothers in the Shadows.” It claims the North Wales Child Abuse Tribunal failed to investigate the influence of Freemasonry in the case. So as an added bonus, they have somehow obtained and are publishing the names of 13,000 Welsh Freemasons. And shockingly, the list includes the names of police officers and prominent lawyers. This is trumpeted as big stuff in the UK. 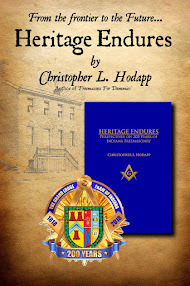 “The full extent of masonic influence will never be known until the identity of all freemasons is revealed. There are a quarter of a million masons in England and Wales, and Cardiff alone has 65 lodges [branches]. Harder to imagine how fast Rebecca should be sued for theft of private information and privacy violations. Anti-Masons in the UK have long whined that the United Grand Lodge of England will not release its private listing of members for public consumption and digestion. 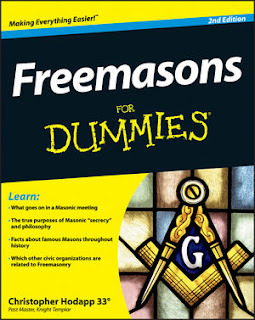 UGLE's devotion to privacy is proof, they claim, of Masonry's deep, dark, nefarious influences. Never mind that rugby clubs, stamp collecting clubs, groups of polo enthusiasts, or the Irish Republican Army, don't ever get singled out for this same idiotic accusation or demands to hand over their membership lists. In my post about the internal battles going on at the Grande Loge Nationale Française on Monday, I mentioned several references to the French magazine L'Express, which is something like a combination of, say, Time and the National Enquirer. 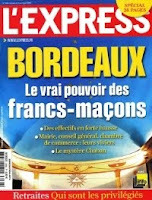 Articles bashing Masons sell magazines in France, something we fortunately don't have to deal with in the U.S.
Case in point: The April 8-14th issue of L'Express "exposes" the influence of Freemasons in Bordeaux, with 15 pages. 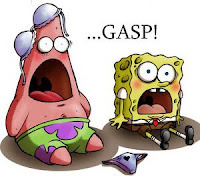 Illustrative of just how off the charts anti-Masonic reporting in foreign mainstream press is, the author of the series of L'Express articles about the GLNF now has a blog dedicated solely to the story. Reporter Francois Koch keeps the story alive on his blog Lumiere: Le blog franc et maçon de L'Express, regularly updated with gossip about the struggles between Grand Master Stifani and the group of brethren protesting his actions and decisions. Under normal circumstances, this would just be so much insider baseball, but apparently the story has legs. But really, isn't a whole blog about it a little obsessive, monsieur? Easier to pillory the Freemasons, I guess; they don't fight back. I wish the American Grand Lodges would issue public protests of this idiocy. I wonder if any of this sentiment could pick up steam. To be honest, with the longstanding economic down turn in the American economy, I'm kind of surprised that we haven't seen the fringes in America trying to blame the Freemasons.In America, we're a scapegoat that hasn't really been used in some time.